Hosted with Baby plan from December 2014 - January 2016. Have you thought about giving HostGator web hosting a try? 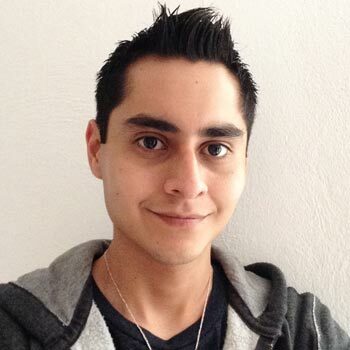 Then you must read this interview with Jonathan Nuñez, who once used HostGator but has now moved to a new hosting service. In order to find out why, read on. Hello Jonathan! First, we’d like to find out a bit more about you. Please share some personal and business insights. I’m an entrepreneur and SEO professional. I love exercising, I’m a big time gamer, I love watching anime, going to the movies with my friends and traveling. My passion is helping people know how to do SEO and how to utilize social media for link building. I’ve been teaching search engine optimization since 2014. You’ve got some interesting hobbies! So, let’s move on to HostGator. What hosting plan did you use? I had the Baby plan, the shared hosting, mid-range choice. I used it from December 2014 to January 2016. I chose this plan because it allowed me to host multiple sites. To be completely honest, the Baby plan was great, I used to pay $11.95 for my hosting package and didn’t have any major issues other than the very rare case where my site would be down for 30 seconds to three minutes tops. From my experience, I can say that they do deliver on their 99% uptime guarantee. "the Baby plan was great, I used to pay $11.95 for my hosting package and didn’t have any major issues…"
That’s good to know. But, with all the hosting companies available, why did you choose HostGator over others? If I’m honest, I was afraid, at first. I had read so many bad reviews of people saying how awful their service was after they were acquired by Endurance International Group (NASDAQ: EIGI) and that anyone buying any services from them would have a horrible experience. However, after a lot of research, I found that the majority of those claims were people ranting just for the sake of it. They were just posting what others had posted before and were not adding any real value. I ultimately chose HostGator over BlueHost because I went with my gut. "I ultimately chose HostGator over BlueHost because I went with my gut. " Gut instinct is usually a good thing! It looks like you are using the WordPress CMS. How easy was it to set that up with HostGator? At that time HostGator didn’t have a quick WordPress install so I had to manually upload my installation and set it up. Fortunately, now they have a one-click installation service directly from your control panel making it really easy to set up. So, now that they are catering to WordPress users, are there any special features HostGator has added? Yes, they offer CDN, SSL certificates, and free migrations (although I never really used them). In addition to the ones you just mentioned, what do you consider one of the best features HostGator has to offer? In my opinion, the best feature is their flexibility. They easily let you access your stored files on the server through their dashboard or FTP. Also, if you are not very tech savvy, they offer quick installations for Weebly and WordPress. Now that we know what you like about HostGator, is there anything you don’t particularly care for? Yes, and that’s AWStats. Analytics were just horrible. If you want great and reliable stats, you need to use a third party service rather than the analytics plugin HostGator provides. Would you recommend this hosting company to others in your industry or business owners in general? Maybe… Only if they are new to the online world and/or their website is not getting more than a couple thousand visitors. After a few thousand visitors a month, your site will usually start to load slowly. If, or better yet when, that happens, I would recommend they change to another hosting provider with a dedicated server, preferably. When my site started to get more traffic, I changed to Flywheel and I’m incredibly happy with the service thus far. What about HostGator’s support department? How did they stack up against your expectations? In my experience, it’s good (overall). They always replied within 24 hours and provided great customer service. "They always replied within 24 hours and provided great customer service." BUT, I had one particular problem with them: canceling my account. When I moved to a dedicated server with Flywheel, I tried to cancel my HostGator account. I submitted a support ticket in regards to cancelation but never got a reply back. I had to delete my credit card from file and wait for the next payment to be due, expire and let the system suspend my account. After a while, they deleted it. But I never really got an answer from them and that’s horrible customer service. "I had to delete my credit card from file and wait for the next payment to be due, expire and let the system suspend my account." Thank you for being so candid about your experience, Jonathan. For more information about HostGator’s uptime performance and server speed, check out our editor’s HostGator review.